We wanted to know more about Canada’s oil refineries so we spent a few hours collecting information and mapping it. 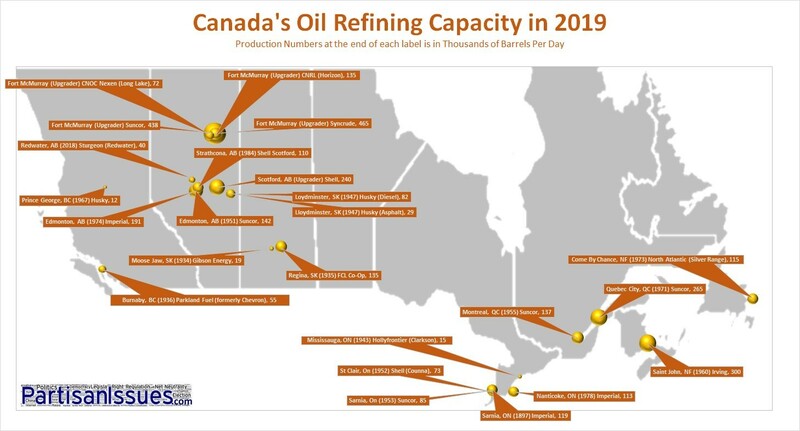 We show where the refineries are, the year they were constructed and how much they produce. The bubbles are scaled correctly to give you a sense of proportion at a glance.